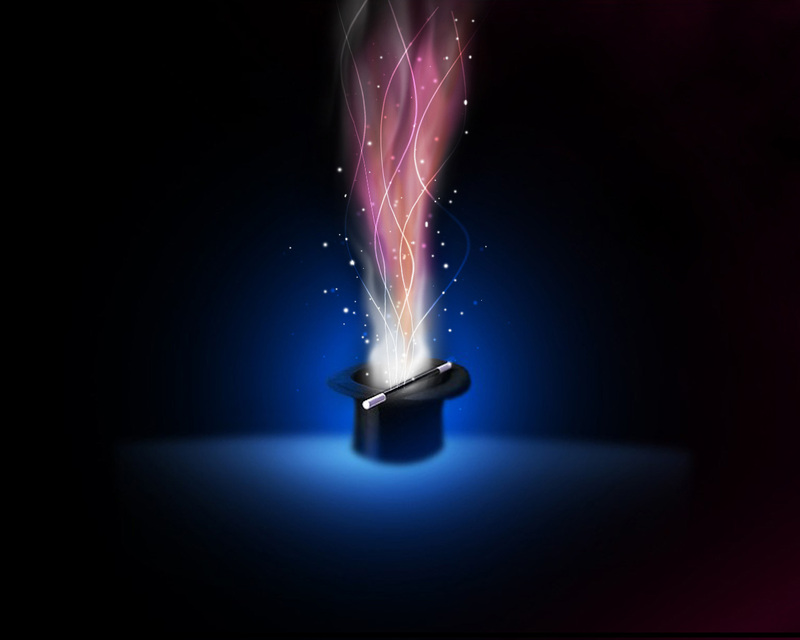 This post will continue from the previous The Power of Consciousness – Magic, Magicians and Sorcerers. I will continue to explain aspects of the Power of Consciousness to create, generate and manifest into the Primacy of Existence. For those who are not familiar with philosophical thought and objective comprehension of reality, this means existence comes first, then consciousness emerges as part of existence, and has the power to create into existence. Not the other way around. Let’s continue! In Hebrew it means to create as, like, or according to, what you say. 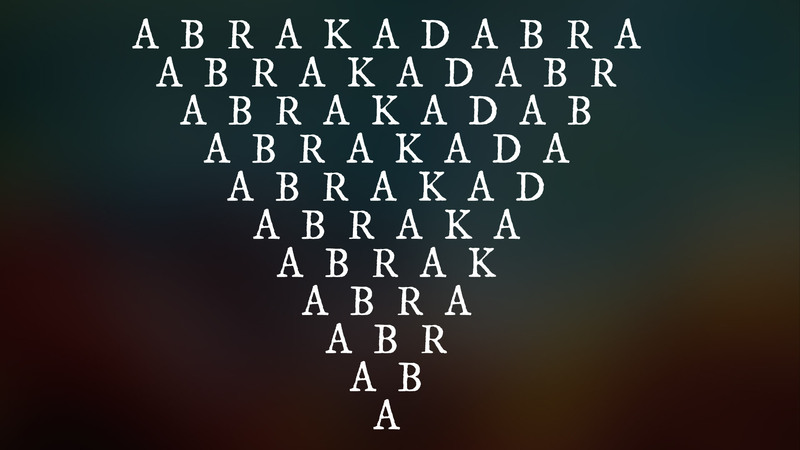 In Aramaic (similar to Hebrew), abra = “create”, and cadabra = “as my word/as i say” (which is very similar to the Hebrew). It means “create as I say” in Aramaic, just like “I create as I speak”. Isn’t that what the entertainment “magician” does? 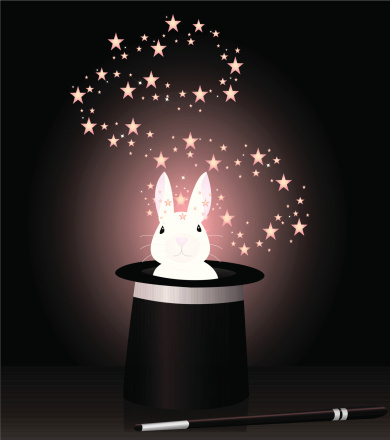 They say they are going to pull a rabbit out of the hat, say abracadabra, and then the “magician” pulls the rabbit out of the hat, just like he said he would! Just like the “magician” for entertainment says he will do something, he speaks, then he does it, and the action follows through, that is how we are supposed to engage in reality and live up to our words of what we say we will do. Not be hypocritical, duplicitous, deceitful or liars projecting and creating falsity in contradiction to what we said we would do. We are to create in the logical non-contradiction of our external expression of consciousness being our actions, matching our words from the thoughts and emotions of internal consciousness expressions. This saying is about following through and living up to your words, to create in action as you say you do in your words. Actions speak louder than words. You shall know them by their actions. 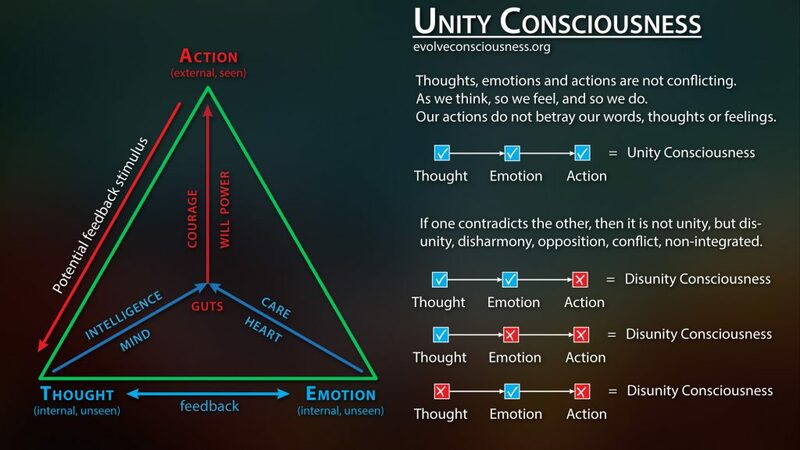 This is about unity consciousness of your thought, emotions and actions, that what you say is what you do. This is not about creating a tangible object into existence from nonexistence simply by “magically” speaking some words and it will “magically” happen just because you said it. That’s not how reality works. Create and act as you say you will, honor your word. Don’t betray your word and act against It. Be a man/woman of your word. Be true of voice (maa kheru). That’s the magic of abracadabra. You speak, and then you create into reality through your actions, because you said you would. Unite your thoughts, emotions and actions, as one: to think, feel and do without contradiction. Logic, non-contradiction, is a foundation in life and the universe. You can do that for yourself, to lead yourself by your own will, and better yet, a will aligned with Moral Truth/Law (truer, realer, “higher will”), or follow the will and mind control of others and create the world they want, as they say it is, and “should” be. Choice leads to an act in creation, existence or reality. Free Will is creative: to create, manifest and generate an action through the power of will, will-power. When we choose one thing over another, we choose to give it power as we manifest it into being. We exercise power through the symbols of words (word symbol magic, see the previous post), or through an action in the physical world that reflects the care, choice, will and word-symbol-images in our mind. We correspond the objects and concepts about reality, to definitions in our consciousness, the mind’s eye, the phantasmal (fantasy) light projector of imagination. Consciousness is an abstraction engine, we abstract concepts, ideas and universals from particulars in reality. This engine powers the imagination factory to invent anything in the subjective, imaginal, internal “multiverse” “reality” within us, where we are the “gods” of many-worlds (a multiverse) that we want to imagine. A thought experiment, positing possibilities, imagining things, is not happening in the objective universe, reality and existence of truth. It’s creating multiverses of different worlds inside our subjective personal consciousness that is unique to us (an “unreal” internal reality), not the actual objective reality and existence that we share with others (the real external reality). Existence is reality, the universe, and is objective. We determine objective truth in existence and reality based on our ability to discern what is there. We can also invent falsity and project inauthentic, falser, lower, unrealities as a reality. There is a “science” of imagery that can be understood, as the previous post mentioned about magic being an art and science to master, the use of our will to charm, influence, inject, invoke, inculcate, summon and cast word mage spells into other consciousnesses. This is injecting word symbol images, that represent aspects of reality, into the phantasmal realm of consciousness, into the mind’s eye. To act in the world, or say something, sends out a form of “energy” that reverberates into the lives of others. 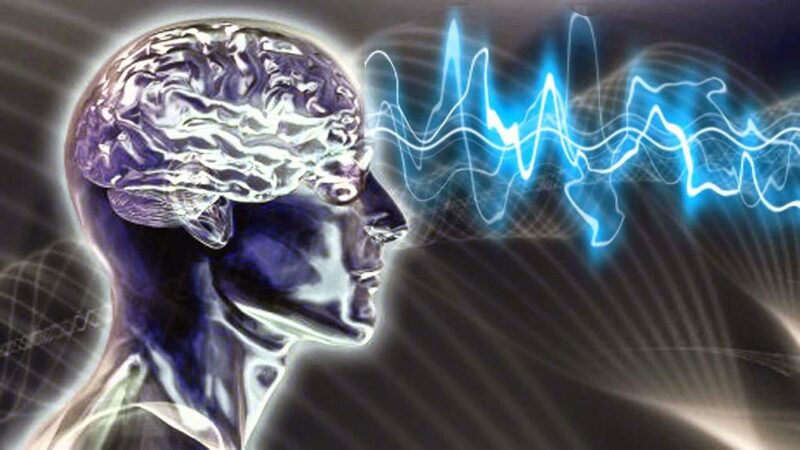 This “energy” is a direct action to produce effects, to affect reality, or the energy of sound vibration to influence and affect other consciousnesses in reality. It manifests in visible causal relationships, as well as potentially unseen causal correspondences. The seeds (of effects we have on others and the world) may be planted earlier on that produce an effect later. The energy we put out can affect us and others in subtle as-of-yet unrecognizable ways. The Law of Cause and Effect is everywhere, both seen and unseen. Choice and participation, what we choose to participate in is what we give power and energy to for those things to be created, or for their growth to continue to occur. This is how good, as well as evil, functions. We are the ones who create and participate in evil immoral wrong-actions. Only we can stop them and change the aggregate course of action on this planet. Even if you or I are not doing some specific act of creating evil, others may be, and we are all in this together on this planet. It’s up to us to fix things together no matter how you look at it. We can create with the power of our own consciousness, output words to influence others, in either a good capacity or evil capacity, in alignment with Moral Truth/Law, or our own falser, lower, unrealer self, of corrupted egoic self-centered desires, wants and wishes that motivate us. We can keep the ways of thinking that others have imposed into us through social engineering mechanisms, to create as they say to create. They are speaking word symbol magic spells, to invoke, summon and construct false subjective perceptual unrealities as realities in our consciousness, all the time through the media. Their action of voice, speech, the “art of mouth”‘, “magical speech”, sophistry, rhetoric, and also the conditioning of our environment, society, parents and peers, has influence on us and has us engage in the continuation of falser programmed modalities and ways of living. Think of when a president or leader signs a piece of paper, and everyone believes in the power of that person, and that piece of paper. Someone writes word symbols down on paper, and with the power of word symbol magic, people are fooled into a magic trick, and believe they need to act, behave and create into existence according to the word symbol magic. Someone wishes something to be, to be created into the world, and others believe it and create that way of life into existence. These are their spells, their abracadabra, where we create as they say we should be creating. We need to create and live our own abracadabra, to discern Truth, Morality and existence/reality accurately, and live accordingly. Take the power back. You have the power.The Power of Consciousness to affect, alter, change, create, manifest and generate into the Primacy of Existence.